Going on placement has helped me come back this year and be more mature about how I go about my work. Jack is a fourth year BSc (Hons) Construction Management student who combines his studies with his professional rugby commitments at Nottingham Rugby. He is on a sports scholarship pathway at NTU and has just returned from a successful placement year with Interserve Construction. How did you find out about NTU and Nottingham Rugby? “I knew about NTU through my brother who came here. When he was in his fourth year I was in my first year and he played rugby too. I knew about the high standards of the University’s first team through that so anticipated competition, but I managed to have a good trial and was in the first team in my first year. 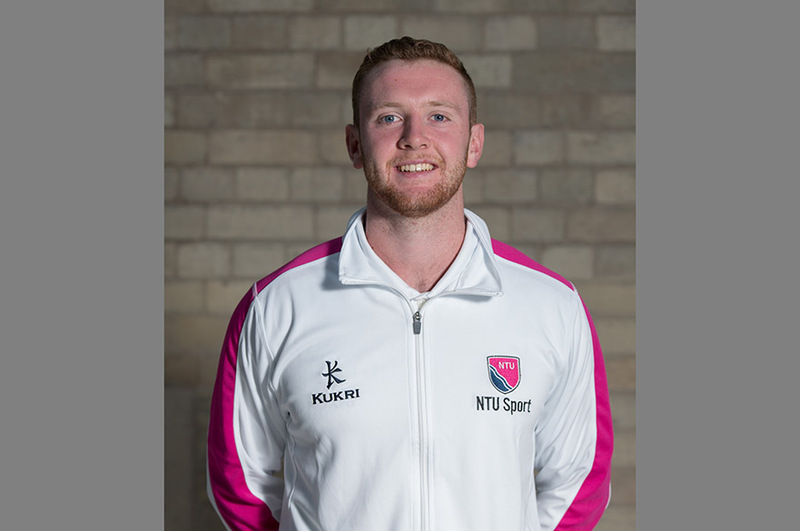 “As soon as I got here I knew about the set-up between NTU and Nottingham Rugby because of Neil Fowkes [Director of Rugby at NTU and Forwards Coach at Nottingham Rugby]. He made the opportunity apparent straight away, which provided that incentive to keep working hard because you knew where you could get to if you impressed him. What do you think about the link between Nottingham Rugby and NTU? “It’s a really good thing. I came to university not thinking about rugby too much. I knew I was good at rugby but I didn’t think that I could ever play professionally and the fact that I have is purely down to the coaching team here, they’ve made me a better player. They allowed me to go to Leicester Lions and play men’s rugby in my second year where I learnt a lot about physicality, which I’ve now brought with me to Nottingham. It gave me the confidence to progress. “My rugby schedule is organised to condense my playing time and give me time to recover between matches. It is quite intense, especially now in final year, but it's just about trying to get the balance right. You’ve got to be thinking about the academic side as well, but especially if you’re thinking about your rugby then NTU is the place to come to be able to move forward. Does your involvement at the club benefit the NTU rugby team? "A lot of us take back what we've learnt at Nottingham Rugby to NTU. I’ve learnt a lot and since I’ve been at the club it’s definitely made me a better player. I’m in my last year now and there’s a lot of big characters in my year, so it’s good for us to be able to help out the guys in their first year and second year, who also play at NTU and Nottingham. "The tempo of the training at Nottingham Rugby is very high, which is expected as it’s a professional set-up. Skills-wise and confidence-wise it’s helped me out a lot. It gives you the confidence to know your role 100% and know what you’re talking about, which helps when working with I think if you believe what you’re saying then people will believe you. “On my placement year I worked for a company called Interserve Construction who are a contractor with offices all over the UK and worldwide. I was based in the construction department in Leicester. I did six months in the office doing business development and six months on-site as a Construction Management Assistant. It was a really good experience and they’ve offered a job to come back once I’ve completed my studies.